Basement Conversions are becoming more and more popular but it is important that when converting a basement careful consideration is taken with basement water­pro­ofing. 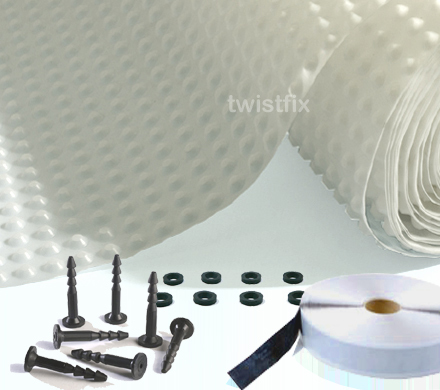 Twistfix supply high quality waterproofing membranes which are ideal for making the basement water tight. When someone is looking for more space and they have extended their property onto their allocated footprint then they wrongly think that for more space they need to move to a bigger house. In reality all you need to do is look down. A basement can provide you with the extra living space you require and so there is no need to move house. 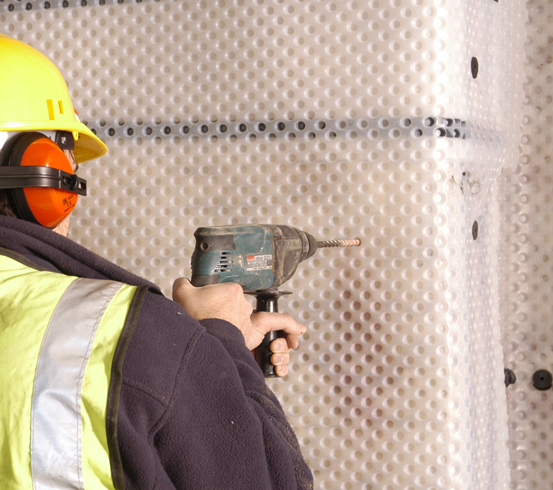 The waterproofing membranes which Twistfix supply are used by a number of professional basement contractors and specialists within the basement conversion industry. They work because water ingress is best controlled by using a cavity drain system. The studded waterproofing membrane helps to isolate the wet cellar walls from the waterproofing membrane mesh or plaster board surface and therefore there is a gap between the two. Water drains from the wall into the channels and sump before being pumped away silently via channels into a normal drainage system. In most cases along with the sump and pump an alarm is fitted so that if the water ever reaches a dangerous level within the basement then this will notify the owners and appropriate people to take action before devastating events occurs. Waterproofing membranes are simple to install and work can proceed with little disruption. Your building control officer will ensure that the basement conversion comply with BS 8102:2009 for waterproofing structures below ground. Along with the above we supply other accessories to ensure that your basement waterproofing and basement conversion project runs as smoothly as possible and you have all the tools you need for you require. 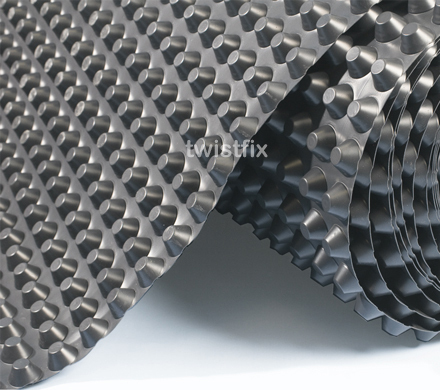 For more information then please can you call us on 0845 123 6006 or email info@twistfix.co.uk.